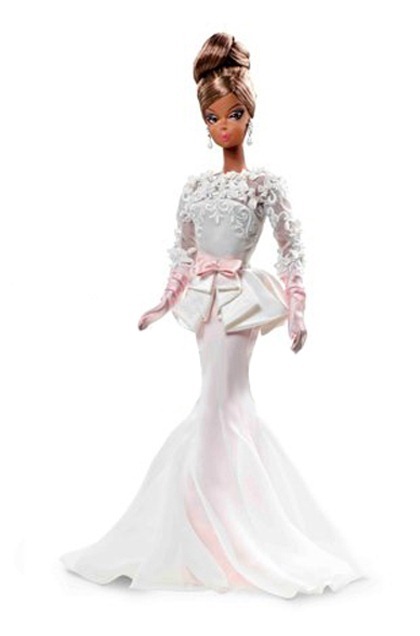 Mattel released photos of a new 2012 BFMC Evening Gown Silkstone that will be available later this year. She is a beautiful AA in a gorgeous pink and white confection of a gown. And….. I have heard from multiple sources that this is a sketch of another Silkstone coming in the fall of this year. 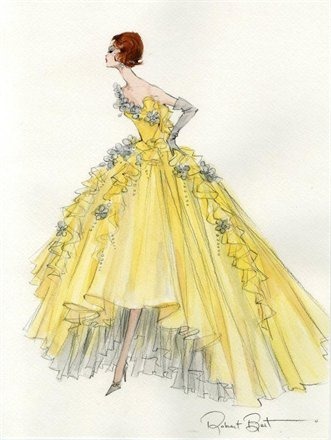 It’s a redhead in yellow gown with grey accents and grey gloves!!! I believe this is indeed the doll that was sneaked in the picture with the drafting table that I blogged about in January( https://insidethefashiondollstudio.com/2012/01/20/an-inside-look-at-robert-bests-2012-bfmc-world/ ). AHHHHHH! I am in complete and total love. Putting my preorder in for these lovelies as I type this. Possible inspiration for this gown??? 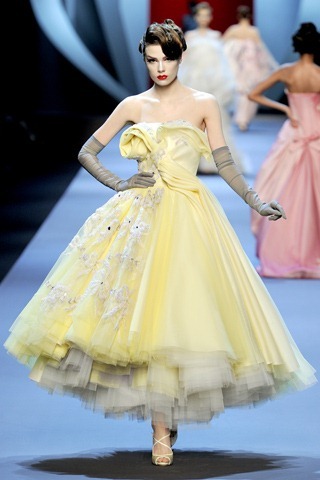 –Dior Spring 2011 Couture. This entry was posted on February 13, 2012 by raberry65. It was filed under Barbie, Silkstone and was tagged with 2012 BFMC Silkstone Barbie, 2012 Evening Gown Silkstone, Barbie, Silkstone Barbie, Silkstone Sneak Peek. Oh yes Rebecca! You are so right on all counts! Great spying talents you have there….. Thank you Lisa! I have actually seen photos of what I believe is a prototype of the lady in yellow and she is really something. I can’t wait for Mattel to release the promo photos.